Complete reporting dashboards visualizing boberdoo and 3rd party data sources. 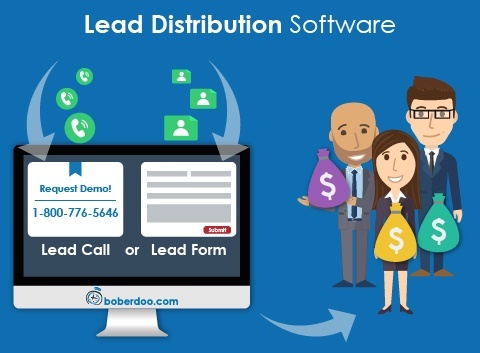 If you're looking for a complete lead distribution system that will not only save you time but also present you with new revenue generating opportunities, you can do no better than boberdoo. Our lead distribution software has been helping lead companies grow their businesses since 2001. Whether your current solutions is lacking the features or scalability you require or if you're starting a new lead business entirely, we would be happy to help you make the transition to the most complete system on the market. Whether you are a 1-man organization or a company that generates thousands of leads per day, our lead distribution software will save countless hours and position you to maximize your revenue on every lead. You will save time, serve your clients better, optimize lead matching and delivery, and increase the overall image of your lead company by utilizing a boberdoo.com lead system. Since 2001 traditional lead generation companies, direct marketing firms, media and advertising agencies and advanced publishers have utilized our software to grow their business. You have enough things to worry about in the lead industry, your lead distribution software shouldn’t be one of them.